Rep. Allen West (R-Florida) has introduced a bipartisan bill he says will encourage small businesses–our nation’s most prolific employer–to start hiring and help put Americans back to work. The Small Business Encouragement Act would amend the Internal Revenue Code to allow small businesses with less than $20 million in gross receipts in the preceding taxable year or 100 employees or fewer, a work opportunity tax credit for hiring unemployed individuals as full-time employees in 2012 and 2013, and employing them for at least one year. In addition, the legislation would double the tax credit for employers that hire individuals from counties with higher-than-average unemployment rates. 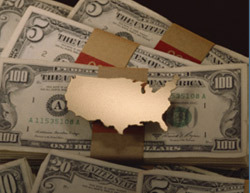 West estimates that each hire could save employers up to $12,000 per year. The unemployment rate in West’s Florida district is close to 11 percent, which, he says, is unacceptable. The rate for African-Americans at 16.1 percent is more than double the overall national rate. “The Small Business Encouragement Act is a simple, effective solution to putting people back to work by encouraging the very backbone of our economy, the small businesses,â€ West said. 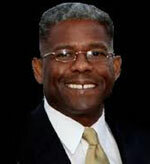 West, is one of two Black Republicans in the House and the only Republican member of the Congressional Black Caucus. Fellow CBC members, Representatives Laura Richardson (D-California) and William Lacy Clay (D-Missouri), are two of the bill’s 10 co-sponsors. West said that the legislation has won the support of the National Black Chamber of Commerce and entrepreneurs from around the country. “This legislation will support many minority owned businesses that have felt the impact of the recession and will encourage many others to become innovative with job creation,â€ he said. A federal judge has finally granted preliminary approval of the $1.25 billion Pigford II settlement agreed to by the federal government and the nation’s Black farmers to compensate those who were discriminated against by the U.S. Department of Agriculture. Judge Paul Friedman of the U.S. District Court for the District of Columbia made the long-waited ruling on Friday. His decision came on the heels of the release of a report produced by an independent firm that found the USDA is still mired in problems related to civil rights violations and racial discrimination. The report includes more than 200 recommendations to fix them, several of which Secretary Tom Vilsack had begun implementing before the report’s release. The report strongly recommends that the agency make significant inroads in improving its outreach and service delivery to minority farmers and ranchers, the two groups that have likely experienced the greatest amount of discrimination. 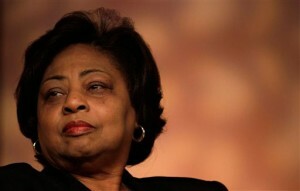 In an interesting twist, the USDA is currently trying to work out a deal with former agency official Shirley Sherrod, who was forced to resign from her position last year after a conservative blogger released a misleading video clip of an address she made to an NAACP group. The agency hopes that Sherrod will work with it on a contractual basis through the firm she co-founded called The Southwest Georgia Project For Community Education Inc. to promote outreach and diversity. U.S. Hits Debt Ceiling: What Happens Next? The nation hit its $14.3 trillion debt limit last Monday, but, unlike the congressional lawmakers predicted, the sky didn’t come falling down. Treasury Secretary Timothy Geithner has taken a series of steps to prevent default, including suspending payments to the Civil Service Retirement and Disability Fund and Government Securities Investment Fund, so he could extend the debt limit deadline to August 2. Geithner said that the suspended payments will be made to both funds and that federal employees and retirees won’t be affected. Meanwhile, Congress and the White House will have 11 weeks–four of which House members are scheduled to spend back at home in their districts–to negotiate a deal. Staffers who work for the bipartisan, bicameral group of lawmakers tasked with figuring out ways to reduce the deficit are continuing to work on the task while the House is in recess this week. Their task is not easy. House and Senate Republicans are standing firm on their pledge to not raise the debt limit until significant spending cuts are made in the federal government’s 2012 budget. House Assistant Democratic Leader James Clyburn (South Carolina), who sits on the bipartisan deficit panel, told Dow Jones on Monday that he believes the budget and debt limit deals should be negotiated separately. It may take longer to reach a budget deal and Congress must act swiftly so that a vote on raising the debt limit can be taken before the next deadline. House Minority Whip Steny Hoyer (Maryland) accused Republicans of holding the economy hostage.